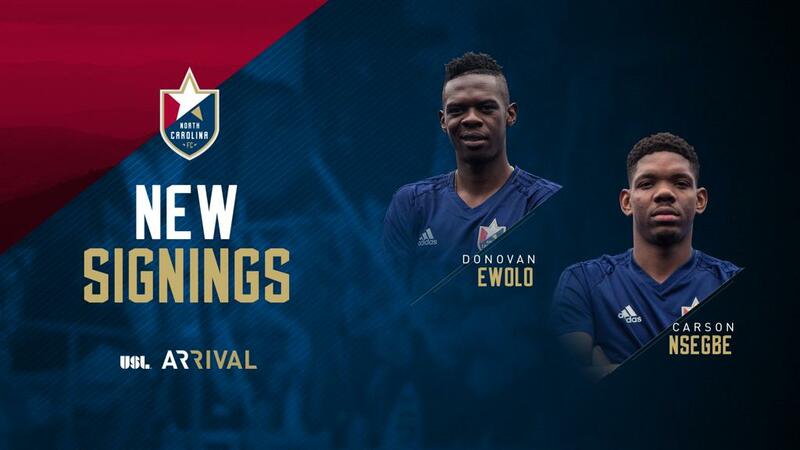 CARY, N.C. (Feb. 19, 2018) – North Carolina FC continues to secure pieces for its roster ahead of the 2018 USL season, as defender Carson Nsegbe and forward Donovan Ewolo are set to join the team pending league and federation approval. Nsegbe comes to NCFC on a transfer from Cameroonian side Rainbow FC Bamenda. Ewolo will join NCFC on loan from Czech third division side MFK Vyskov. Both signings will occupy international roster spots and are still pending the receipt of their International Transfer Certificate. The young Cameroonian duo is expected to provide increased talent and depth to the North Carolina FC roster. Both players have taken similar journeys and have played with both Rainbow FC and AS Fortuna in the Cameroonian professional ranks. Rainbow FC is a club in Cameroon that has an emphasis on giving many of its young players an opportunity to play professionally in the United States. The USL and MLS have both tapped into the pipeline, signing numerous emerging talents to professional opportunities in the United States. Nsegbe will bring a strong defensive presence to the squad as well as professional experience playing in Cameroon. The defender has also been a regular on Cameroon’s youth national team with call ups at the U-17 and U-20 levels. Ewolo comes to NCFC after several stops both in his home country of Cameroon and abroad. In addition to his time with Rainbow FC and a stint with AS Fortuna, the athletic forward played in Cameroon with Dragon Club de Yaounde in the top division of Cameroonian soccer. Following several trials in Europe, Ewolo signed with MFK Vyskov – a third-division Czech Republic team before joining North Carolina FC on loan this year. Ewolo also boasts international experience with Cameroon and has represented his country since the U-17 level and most recently has played for the Cameroon U-23 team. The dynamic players will join North Carolina FC’s roster that includes goalkeepers Austin Guerrero and George Marks, defenders Wuilito Fernandes, Michael Harrington, Peabo Doue, Steven Miller, D.J. Taylor and Connor Tobin, midfielders Kyle Bekker, Nelson Blanco, Austin da Luz, Dre Fortune, Marcel Kandziora, Ebe Kudolo and Bernhard Luxbacher and forward Marios Lomis. North Carolina FC season tickets are now on sale and feature the newest membership benefit – Beer for the Year. For every fan who opts in to the added membership bonus by March 1 North Carolina Football Club will buy one Lonerider North Carolina Football Club Captain’s Lager at every regular-season home match. To purchase season tickets, sign up for Beer for the Year or ask questions regarding the home opener, please call the North Carolina FC office at 919-459-8144 to speak with a ticket representative. 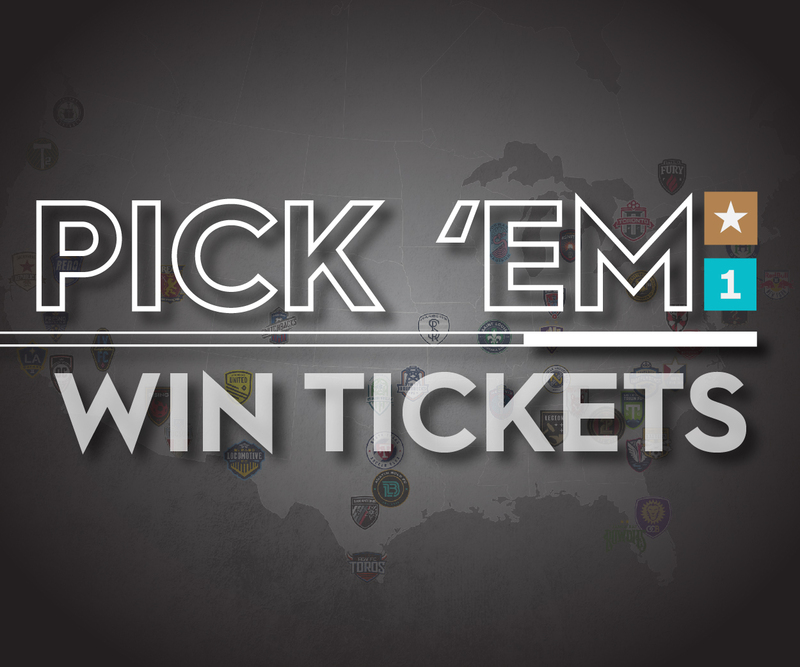 For more information about the club, visit NorthCarolinaFC.com. Transaction: North Carolina FC has agreed to a transfer with Rainbow FC and signed Carson Nsegbe. Transaction: North Carolina FC has agreed to a loan deal with MFK Vyskov for Donovan Ewolo.